tools all in one bag. a sensory break, you’ll be ready with a tool for manipulation, weight or pressure. 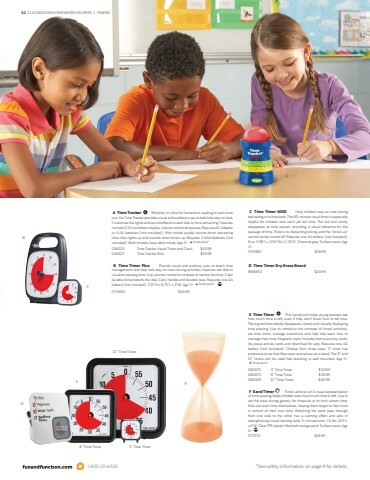 The items inside help ease anxiety, regulate mood and keep kids engaged. Includes tools that provide heavy work, oral motor stimulation, tactile stimulation, proprio- ceptive input, fine motor work and more. Age 4+ NOTE: Items may vary. Visit FunandFunction.com for details. For quick sensory breaks at school and on-the- go, this handy pouch holds tools and activities that sensory seekers crave. Includes teacher and kid favorites for hand strengthening, fine motor coordination, stress reduction, fidgeting, chewing, sensory integration and stretching. Replacement pouch sold separately. 11”L x 7”W. Canvas pouch with zipper closure. Blue. Surface wash. Age 5+ NOTE: Items may vary. Visit FunandFunction.com for details.